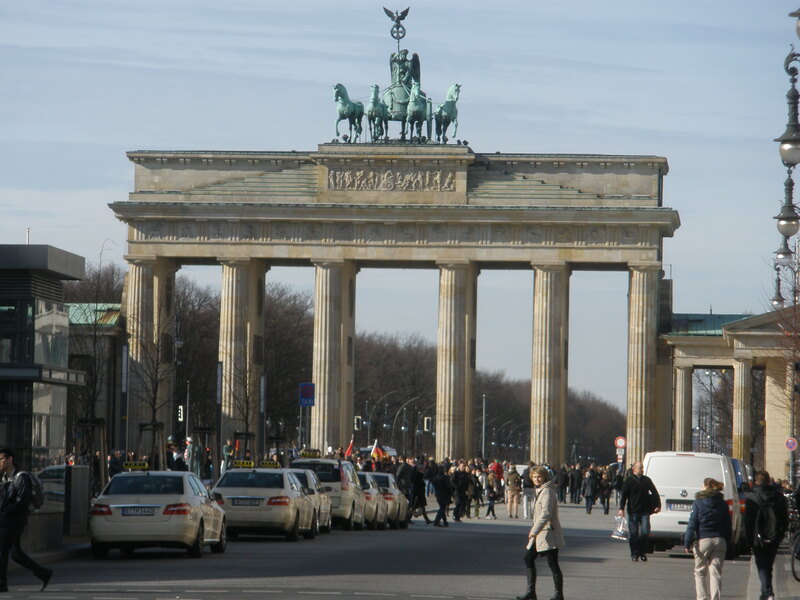 Lecture given at the Institute for Cultural Diplomacy in Berlin the 2nd of March 2012. How the weakness of the written press is threatened by governments and financial institutions. The way the social networks can preserve liberty and, at the same time, might endanger it. There are no clean hands in journalism. News and opinions are rivers that flow into the great sea of public opinion as they come from the processing centers of information that in recent times have changed in such a way that news can reach the global audience in many different forms. Those of us that have been educated and trained in the cold war attitudes would never imagine that the profession could be exercised by millions of people all over the world. I never thought that newspapers would loose the hegemony and monopoly of news. The truly important questions of politics and life are the substantive issues, the general trends that journalists only realize once they have occurred. The critical mass of information and opinion is now so large that we know everything but often do not know the most important thing of a story, the small or big detail that might become its decisive factor. In the news rooms in which we work there is a growing tendency to spectacular facts with an exaggerated cult of emotion. Public opinion is very often simplified with slogans, propaganda, scandalous banner headlines, unexpected events that cause shock, indignation or admiration in the wider world. The anecdote prevails over the category and the words spoken into a microphone off are more important than the contents of a great speech. I am not talking about all journalists and all sorts of media but about the impact of news distributed to the open public opinion. Rarely critical news against a company is published in a newspaper that gets a big advertising or sponsoring from that company. We can mention all exceptions we want, but the fact is that we practice the journalism of interests and have left behind journalism as a service to citizens. When the contents are alien to the reader’s interests and cease to be a proposal to allow citizens to decide for themselves as a result of the information and opinions that are provided to them, the danger of manipulation is quite high and probably imminent. Indro Montanelli, the great Italian journalist, said that his real owners were his readers and not the owners of the newspaper in which he happened to write. A very simple definition of journalism is to tell what happens. It’s not always like that. Some dare to write with impunity about things that should happen and not to explain things that really happen. Lies wrapped in the old practice of half-truths, rumors, literary tricks and deception are quite often used as a way of practicing the profession in any of the forms we have available today. In journalism you need to show that the truth of the matter exists, can be pursued and found, despite the interpretations that can be done. I still think that facts are sacred and opinions are free. Not the other way round as it seems to happen en some ways of practicing journalism. There are things that should not be written, Napoleon said after news reached him of the capitulation of his army in a famous battle in the Peninsula War. Almost two centuries later, there is news that are never published or reports that are published partially because they harm the interests of governments, parties, business partners or owners of the media. Tzevetan Todorov’s writes in L’Esprit des Lumières that “in some countries, it is possible, if you have enough money, to buy a chain of radio stations, many newspapers and television networks, to say what the owners of these media want to transmit to their readers, listeners and spectators providing a unique way of thinking. In that case, says Todorov, we are not in a democracy but in a plutocracy: it is not the people who have the power but the power lies with the money. We tend to speak about groups rather than of newspapers, radio stations of television channels. The groups have interests that may be informative but are often ideological and political, always leading to big or small business. The groups comprise more concepts and perspectives. The audiences are not the more decisive. Under the umbrella of technological advances that provide news and comments live, on real time, to all corners of the planet, the modern media can become instruments of propaganda to ensure the docility of the people to the point that they can become the victims of systematic lies or half truths. The deprivation of civil liberties is a natural way to prevent any serious opposition. These perversions occur by definition in dictatorships but also happen in democratic systems where the tasks of the press, politics and economics are intertwined in an unnecessary and dangerous combination. I will not repeat in detail what happened in Britain with the news empire of Rupert Murdoch. A person who has conditioned governments, has spied on thousands of citizens, had journalists that committed crimes corrupting officials of the Ministry of Defense, has sent more than thirty of its employees to court, that group appears again to challenge the public opinion with the appearance last Sunday of a new weekly, The Sun on Sunday, trying to regain the lead in the Sunday press which was lost with the closure of The News of the World due to the scandals. News Corporation has been a victim of the disease of the modern press playing with the collusion between political, financial and journalistic interests. In the case of Rupert Murdoch and his media empire we have to add a malevolent variant that is the crime. Some of the Murdoch empire journalists have admitted giving money to police in order to obtain information. This is not what is understood as a free press in a free country. Even if it happens in Great Britain with such a long tradition of freedom. Murdoch is ultraconservative in both economic and social issues, defender of the more extreme capitalism, anti-gay marriage, a declared Obama enemy and sponsor of the Iraq war. Surprisingly, Murdoch has become an advocate for the independence of Scotland. He even explains his views via his personal twitter account on Alex Salmond who he describes as the smartest politician in the British Isles. It is not known if his position on Scotland is genuine or it is a vendetta against Cameron who has not stopped that bad practices of the media in London ended up in court. The issue is whether a journalist or a newspaper or a news group may use any means available to get information. The answer is no. We better keep in mind that good journalism and the economic viability often go hand in hand. In Cuba, North Korea, Iran, Zimbabwe and many countries with authoritarian regimes the control information, it is something that goes along with the nature of the systems. But when in Venezuela, Bolivia, Ecuador and Argentina the media freedom to report is questioned, what happens is a dangerous attack against the liberty and progress of those nations. The most disturbing case was Berlusconi‘s Italy. He was both prime minister, the richest man in the country and controlling the vast majority of public and private media. Berlusconi’s controlling instruments, from Parliament to the judiciary through the media and a great football team like Milan, made Italy an unhappy country, asphyxiated by the extravagances of a man who was not serving his country but used Italy to serve his own interests. In these situations of different classes of lack of freedom, reporting what happens is secondary. What matters is what is reported regardless if it is true or not. A society falls into the abysm when propaganda and rumors are more important than the facts that lead to a regime of opinion. The objective facts are disappearing from the news, opening the way for virtual realities that are unrelated to the truth of the facts. It distracts attention from the public with trivial matters, with highly rated programs that fuel primary feelings of the people, with big sporting events that promote a global audience. The media are often used by governments, judges, companies, major brands, the most varied interests that often are unmentionable. Most disturbing is when judges do their work, but rely on the media to bring down the political class or even their own colleagues when their sentences are wrong and harmful. It is also harmful for a government to use its allies in the media to discredit de opposition or the opposition and their media allies using the same means to discredit the government. No media is absolutely neutral. But newspapers should make clear who and what are they supporting. It’s because of this confusion about what the newspapers are supporting we could find the weakness of the written press today. The newspapers are no longer profitable. In my country, three newspapers have closed down since the beginning of the year. The newspaper industry is no longer autonomous and in many cases the owners look after help in political, economic and financial institutions. Journalists have to add to their own limitations, the difficulties of their companies to survive the present crisis, but specially the crisis of the news business. There is a gradual lost of room to maneuver not only by journalists but also by the companies who own the newspapers. I think that one of the most prominent journalists was Fyodor Dostoevsky. He was a journalist of a higher category in the sense of his philosophical quality. He was a man who had an idea, a capital ideal, in the platonic way, and pursued its implementation in the trivial daily events in the same way that a full moon can be broken into a thousand puddles of rain. Journalism is in the details, to tell what happens to the main or ordinary people, to build a fairer, kinder and more free society. Also in exposing abuses of power and note who trample the law to the detriment of the most fragile. Our democratic media, for example, do not tell the extra wages of top executives of big companies compared with the meager wages paid to ordinary employees. Nor have the opportunity to report on what is going on with the suffering of so many people stricken with poverty and squalor, without water of electricity, because they live in distant lands. Neither they report the selfless work of millions of volunteers working in the wide world to make it worth the existence of the humiliated. The people who spend most of their time caring for the elderly, to educate illiterate populations, to build hospitals very rarely deserves a headline. They are no news because they have no access to or control the media. Our times are no worse than the older times. There has been always an intent of silencing journalism more or less with the same agents and interests. But there is an interesting new development. Now news reach all corners of the world and news consumption knows no boundaries. The rage of the unfortunate of our present world is greater because the differences between those like ourselves that live without existential problems and the future of those who don’t know what will happen to them tomorrow are too obvious. The whole world knows it and sometimes the last to report on this differences are the newspapers and the general media. Internet is more revolutionary than the invention of the Guttenberg printing press. It is more revolutionary because it reaches more people, all people all over the world, and allows everyone to participate individually in the process of making public opinion. The global society has millions of new journalists who have not graduated anywhere but have the opportunity to be journalists in their own way. The editors used to spend much of the time talking with managers and journalists on the contents of their products. Those meetings have been transformed today in quick conversations with executives, inventing promotions and cutting costs. Let me quote a legendary american journalist , Walter Lippman, who served in the Wilson Administration as head of propaganda in the first World War. After resigning in 1917 he wrote a report on his experience called “Liberty and the News” which is still very interesting. Some years later, wrote that the “current crisis of Western Democracy is a crisis of journalism”. In many ways, the same could be said today. The limitations of freedom in democratic societies is overtaken by Internet and the possibilities to let the public opinion know whatever happens anywhere in the world. We have too much news to be consumed. It’s a question to select and choose who has our respect and credibility. The anonymity in the social networks is a real danger for the liberty of us all. We can debate and discuss anything and anywhere, but we have to know who is at the other side of the table. Anonymity, I think, endangers the great advances of the new era. It is interesting the slogan that a newspaper proprietor Lord hanged in the newsroom of a London newspaper. It said that “the death of an Englishman is news, ten Frenchmen dead is news, a hundred germans dead is news, a thousand indian dead is news. Nothing ever happens in Bolivia.” I think that this is no longer the case. The massive presence of the Internet is a tool that guarantees the spreading of news, despite it’s excesses, it’s anonymity and its inaccuracies. The conglomerate of media, financial and political power can not stop the knowledge, news and opinions that run transversely and are followed by powerful and weak, African, Europeans and Americans, all citizens of the world that have access to news related to their own city, their country and the whole world. Journalism without freedom and independence cannot last. Journalism without freedom is propaganda. A free world is a world where people have the ability to choose and decide. The nations that have progressed most in history are the most democratic and those that have given more freedom the their citizens. We have to look back and see that no European country can be proud of it’s last century’s history. Exception of England and Sweden. Neither the United States nor Britain or Sweden have suffered coups in the past century. A free journalism is absolutely necessary to respect the well being of people and to respect their liberty to act as they choose. Many news media corporations in Europe and the United States are in a fragile position because journalists know that employers consider the media as a business company rather than a way of participating in the establishing a plural and solid public opinion. Eric Hobsbawm, the historian, was in Barcelona a few months ago. He said that we live in a globalized world which travels at a great speed and out of control of the local and national institutions. That affects as well the media. Lying means always a lack of freedom. I am not saying that lies are a natural way in journalism. But to silence important events has the same consequence as lying. I agree with Isaiah Berlin when he says he was convinced that people cannot be free if they are poor, miserable and have a poor education. Our profession has changed dramatically. The only thing that cannot change is to enjoy the freedom in democratic countries. A journalist has the right to say what he thinks it is true. My opinion is that he has to be open to all views which doesn’t mean to be indifferent to all actions. me ha complacido mucho esta conferencia .Magistral. Felicidades , oigame, vd. sabe de periodismo, me quedo con una frase hacia el final , …..mentir es una carencia de libertad……., en ingles suena bien, le buscare la traducción en alemán y en otras lenguas .Acertadísima. Mire soy de los muchos que esperan que Vd. escriba un libro, sobre historia contemporanea con el estilo de estos articulos sobre Alemania , gozariamos leyendo, o bien para abrir boca , una seleccion de cien articulos. 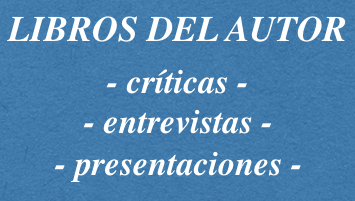 Encontrara editores y sobre todo lectores. Animo. 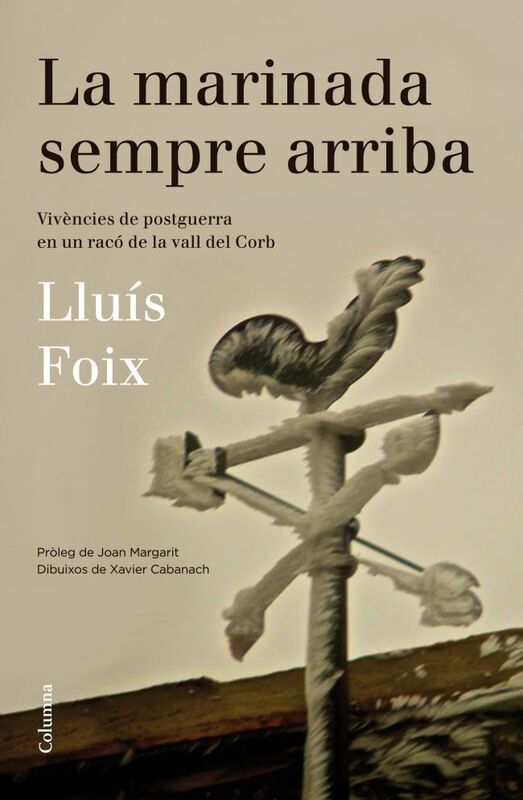 Mr. Foix: I think that the true liberty do not exist in our our world. And it also, affects the freedom of information. It only exist in our imagination. Congratulations for your good talk. I retain all the written work. But specially the two last paragrah. And I am, also, in accord with all other partners of that blog. Javier Espinosa ya está en el Líbano y ha podido salvar la vida y Bashar Asad puede ahorrarse el disgusto de una carnicería en directo con lo mal que queda. “Life is very dangerous. Not for people who do evil, but by people who sit and see what happens”. Imagino que la conferencia iba sobre la situación del periodista en la actualidad, mi ingles es nulo. Veo que los periodicos cierran y que el paro aumenta entre los periodistas, sobreviven los que se pliegan a los intereses que mandan y no crean problemas a sus jefes. La crisis pasa factura a todo el mundo y deja al aire los problemas y las verguenzas. Difícil resumir en un comentario corto. Solo dos acotaciones: periodismo vs democracia y periodismo vs Internet. Todos tenemos un idea diáfana de lo que es una dictadura “dura” y del férreo dogal que impone al periodismo, pero los matices se vuelven más sutiles cuando se trata de delimitar en qué consiste el periodismo libre en una democracia formal. Una empresa periodística no deja de ser una empresa, y en una economía de mercado uno de los principales fines de una empresa es generar beneficios. Es más, incluso desde las mejores y más altruistas intenciones, o genera beneficios o se hunde. La prensa llamada “de referencia”, incluso potentes grupos a nivel internacional, cada vez siente más el acoso de grupos de presión capaces de someter a dura prueba su vocación de independencia. De acuerdo, pero cuando el cerco se estrecha tanto, no corremos el peligro de que la prensa libre devenga un lujo solo al alcance de las élites, y con ello se diluya en sus propias contradicciones? Sobre Internet y el “periodismo horizontal”: ahí debo confesar que mis dudas superan a mis intuiciones. 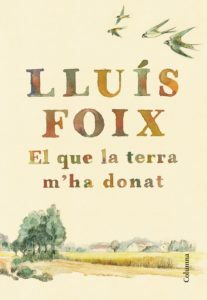 Este mismo espacio que el Sr. Foix alimenta, y cuantos de forma más modesta poblamos y realimentamos el llamado ciberespacio es una prueba irrefutable de la colosal evolución que ha experimentado la información y la opinión (al alto precio, dicho sea de paso, de que cada vez los hechos son menos sagrados y las opiniones menos libres) pero, no puedo evitar la sensación de vivir en un inmenso torbellino de mensajes de los cuales el azar, y sólo el azar, selecciona cuales me llegan sin que yo apenas pueda influir en la elección. No sé si eso es bueno o es malo, pero me produce desasosiego. Congratulations for your lecture in Berlin, Mr. Foix, and clear defence of the Free Speech in Journalism. No tengo ni idea de Inglés, pero hago un corta y pega y quedo divina de la muerte. my tailor is rich, the tailor also Camps. Y luego lo de mi pencil is green y asi hasta Cambridge. Jajajaja, very happy my friend. Julia, has quedat divina de la vida! !molt bó. “La libertad de expresion en los paises democraticos”, is a pipe dream in troubled times. 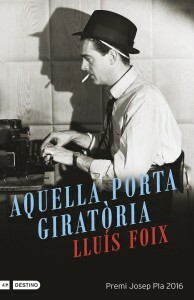 Althoug that is welcome in Berlin just go Mr. Foix yo read the book. Por un momento pensé que lo de pipe dream era algo así como que la libertad de expresión en las democracias era como soñar fumar en pipa. Luego consultado el diccionario resulta que es una preciosa palabra: quimera. Dogbert, qué dominio de la lengua anglosajona! Aquí yace la libertad de expresión.